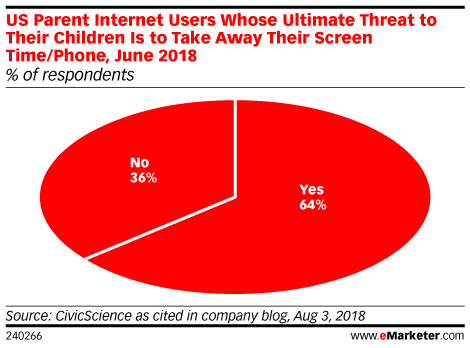 Data is from an August 2018 CivicScience survey as cited in company blog. 1,075 US parent internet users ages 18+ were surveyed online during May 24-June 11, 2018. The figures were weighted according to the US Census for gender and age. The margin of error is +/-7 percentage points. CivicScience is an online polling company that polls consumers on their favorite websites and social networks.